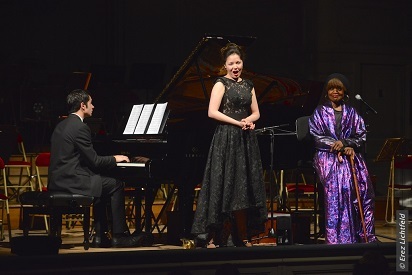 Hadassah France held a very successful gala at the Salle Gaveau in Paris on Thursday, May 24, 2018. 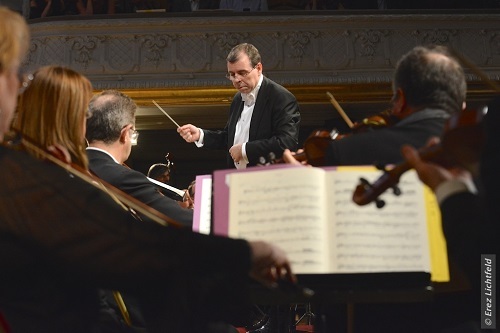 In the presence of many personalities from the political, scientific and artistic world, more than 600 people gathered for a concert in tribute to George Gershwin, performed by pianists Ienissei and Nikita Ramic, sopranos Anara Khassenova and Jo Ann Pickens, as well as the Orchestra of the Saint-Louis Island Academy, conducted by Frédéric Loisel. A diploma was presented to the famous French Physician Prof. René Frydman, in recognition of his contribution to Medicine. 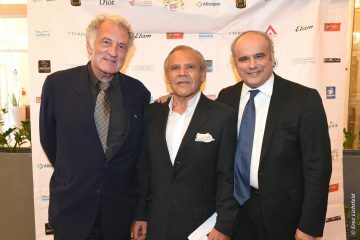 The presentation was made by Michel Leeb, the famous actor who is a Sponsor of Hadassah France and who also served as Master of Ceremonies for the Gala. He was accompanied by Prof. Emmanuel Messas and Prof. Sydney Ohana (respectively President and Honorary President of Hadassah France), and Dr. Tamar Elram, (Director of the Hadassah Mount-Scopus Hospital). 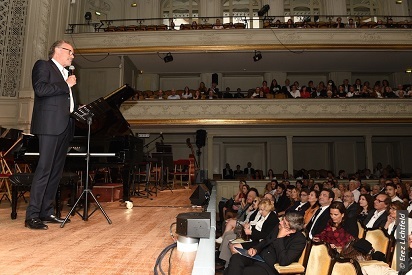 Hadassah France warmly thanks their faithful donors who attended this event. Their donations will go to develop research, support peace and nurture hope at the Hadassah Medical Center in Jerusalem.